Writing in Bangla has never been easier! Typing in Bangla has never been easier! The latest version of Avro Keyboard — the robust and versatile Unicode-compliant Bangla writing software — supports phonetic typing. For example, if I type ami banglay gan gai in English I get the corresponding Bangla text! Avro Keyboard 3, free to download and use, has really surpassed all of our expectations and dreams. Why should I use Avro? I have seen many of my friends eager to type in Bangla – the language of our hearts – but they think that it is something not feasible and difficult to achieve. But it is not so if you have Avro installed on your computer. Using Avro is child’s play, nothing difficult or anything technical. So what are you waiting for? Go, grab it! 1. DOWNLOAD Avro Keyword from Omicron Lab or from the Downloads section of my site. 3. Now to see the Bangla script properly you have to INSTALL SUPPORT FOR COMPLEX SCRIPT for which you will need the installation CD of your Windows operating system. If you don’t do it, you will still be able to see Bangla text but the vowels will be all jumbled up. 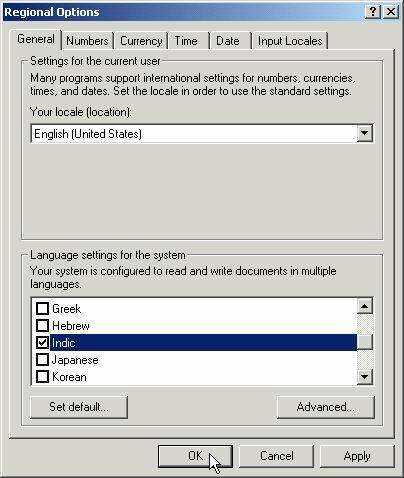 In fact, you have to install this for proper viewing of all Indian languages as well, including Hindi. 4. There is no 4th step. 😀 Fire up Avro and START TYPING. Should you have any query, feel free to ask in the Omicronlab Forum. Why do I see on sites like Google, BBC Bangla, Wikipedia that the vowels are all jumbled up? Yes, this is true. ‘Gobindo’ will read as ‘Gobondi’ if your Windows does not have support for complex script. To solve this you will have to follow step 3 as mentioned above i.e. install support for complex script. Why not any other software? Windows 2000, XP, 2003, Vista or later. Earlier Windows versions do not have support for Unicode and hence are not compatible. I want to properly view Bangla sites, Bangla mails and PMs sent to me by friends. But I don’t need to write in Bangla. Do I still need to install Avro or any other Bangla software? NO. Certainly not. Any Bangla text on the web (Unicode encoding) can be universally viewed. Full user documentation in Bangla. Cool! Support for Assamese language too. Have you tried Shabdik? Please check it from here http://www.iecbd.net. I am sure you will love it more than avro as I do. Hi, Thanks for the info. I will surely check it out (registered at the site already and waiting for the confirmation mail so that I can download the 30-day free trial). Before I lay my hands on the program, I can say that it is a paid software and though one may argue that US$10 is not a big amount I would say that I am not ready to pay to write in my mother tongue when I don’t have to pay anything extra to write in English! Hmm, you are fooled by the pirated softwares. You can write freely without commercial products like using Linux. But if you are using windows or others then you must not forget the price to buy the OS/Office just to start computing. Remember, if you are willing to argue for a free staff I would rather argue for free computing. Why people would be required to pay for computers at all. These are like basic living requirement now. Can we get free computers from market? If not why it is costly? Is it due to the materials we are paying? It is indeed the intellectual property for which we are paying. Material values are what you will get while you are willing to dump your machine. Now the concern is if someone is willing to provide a good piece of software they are to invest a huge amount of intellectual effort which we Bangalis should learn to pay. Otherwise we will be a poor nation and remain poor forever. P.S. Dont forget to check you junk mail folder for activation code as sometimes those are classified as junk by the email clients. I am afraid you misunderstood me. I told we don’t have to ‘pay extra‘ to write in English, taking the OS environment for granted. I do understand the serious effort and hard work programmers put in to make a good software and admit that for a quality product we should be ready to pay. And no, I am not fooled by piracy.It is indeed sad that piracy is a big problem in our subcontinent 🙁 but thankfully I buy the softwares I use :). I also have Linux installed in my machine. I didn’t want to hurt you, I did not know you are the developer. Just thought you are one user. Kudos to you for developing Shabdik. Have you joined the Bangla wikipedia? Please start contributing there. We need more Bangla editors out there. I checked the Bangla keypad you have created and found it great. Kudos to you! Soon I will add your script to my sites. I realy need to thank you. hello i am steph and i want to know how to write in bangla and who is the priminister of bangladesh. I suggest this for mobile users and cross platform users. eg. linux, mac windows all users. A very light bangla tool for web. Though available for Firefox users only as it is firefox addon. Please provide me this software. If i found it easier, i will be highly oblised. Please could you send me the bangla writeing software which i am loking since one month. i will be heighly grat full to you. Sorry. I forgot to mention that I was using Avro Phonetic (English to Bengali). BANGLADESH is very nice country then any thing I LOVE MY COUNTRY!!!! hi, i am a bengali boy. i would like to know how can i turn my english writing to bengali without downloading any softwear. PLZ if anybody knows then leave a comment 4 me. If noting i can do about it den plz can someone write my name(SHOJIB) in bengali 4 me. VERY MUCH APPRICIATING 4RM SHOJIB. I live in Bangkok and would be interested in meeting someone to teach me to read and write bangla with a pen not a computer. I could not down load the Avro software. can you help me?? @Subir Sarkar: Simply type in Bengali instead of English and you are done! ree-kar ki kore ana jaabe ?? jemon “griho” ,” krito ” ei somosto word gulo ante gele ki korte hobe ? the google transliterate program is very good – but there’s no font-option, which makes it sad. Also, you can’t work offline.